Building on the gains of his administration’s industrialisation drive in the outgoing year, Edo State Governor, Mr. Godwin Obaseki, plans to rev up activities that will increase the growing list of investors that will berth in the state in 2019, with N7.007 billion. 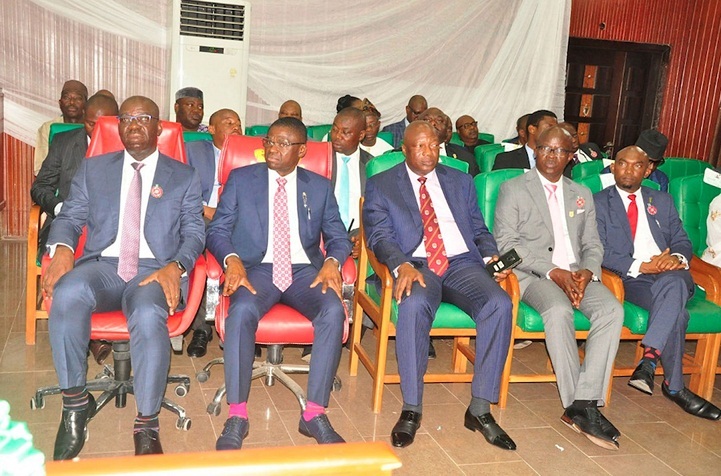 Obaseki said this during the presentation of the state’s 2019 Budget proposal before a session of the Edo State House of Assembly, in Benin City, the state capital. Speaking on the status of the state’s big-ticket investments, which final investment decisions were sealed earlier in the year; Obaseki said, “Our big-ticket projects, including the Benin Industrial Park, the Benin River Port and Edo Modular Refinery Project, are well on course. He maintained that “Considering the nexus between investment and security, we will reinforce our security architecture with N2 billion which will be contributed to the State Security Trust Fund. On growth expectation in 2019, he projects: “Our expectation for growth in 2019 is an expansion of 2.5 per cent in Gross Domestic Product (GDP), an improvement over the expected growth of 2.1 per cent in 2018. While crude oil price may decline, we hope that the increase in oil production to 2.3mb/d due to additional output from areas like the Egina field, will sustain growth in the oil sector.